Blackphone wants to find the balance between secure and usable. The Internet feels like an insecure place these days, but the tools to keep your data safe are out there. The problem is that they’re difficult and/or annoying to use. 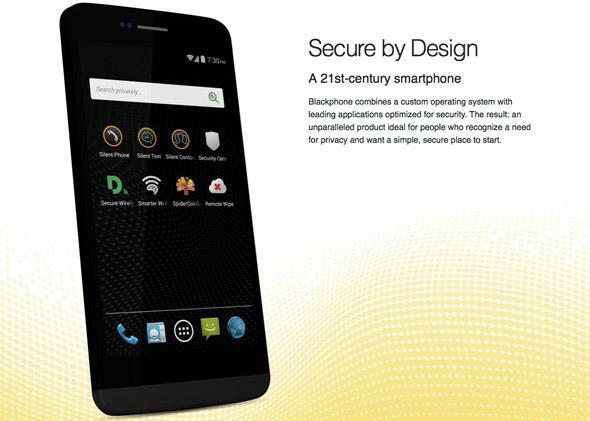 Blackphone is trying to strike a balance between secure and usable in its new smartphone. For $630—about the cost of an unlocked iPhone 5s—Blackphone’s Android handset provides easy access to encrypted versions of standard smartphone services like VoIP, texting, instant messaging, and contacts. Many of the services that come standard on a Blackphone, like Silent Phone, Silent Text, and secure cloud storage from SpiderOak, are available for other devices, but have a monthly fee attached. On Blackphone they’re free for two years or more. Preorders for Blackphone started in February and shipped today. The next round of orders will open on July 14. When information about Blackphone started coming out, a lot of details weren’t clear, but now that handsets are shipping, the mystery is gone. The Blackphone handset has a 4.7-inch HD IPS screen, 16GB of onboard storage, an SD slot, 2GHz quad-core processor, LTE, and an 8-megapixel camera. They’re middling specs, but you’re not paying for glitzy tech here—you’re paying for privacy. Blackphone runs on a heavily customized version of Android 4.4 KitKat, called PrivatOS. It’s Android, but without all the Google. There’s no Chrome or Google Play, and that means that you can’t download most normal apps. There are workarounds, though. For example, while testing Blackphone for Ars Technica, Sean Gallagher used the Amazon App Store to get some of the services he needed. It’s certainly not for everyone, but Blackphone’s first attempt is a good incremental step toward a secure smartphone that is for everyone.